Alan Wang is one of the key investment professionals supporting the Milltrust Value Partners Greater China Fund. Milltrust International and Value Partners held a joint investor presentation on the 24th of October last year in London. Hong Kong and Shanghai-listed China Shares are Currently Trading at Attractive Valuations. 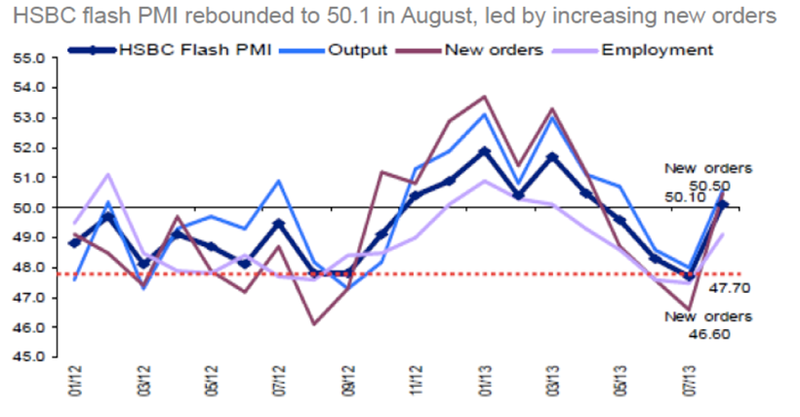 With investor concerns over decelerating GDP growth in China of 7-7.5% for the foreseable future and lingering questions on whether the country will be able to successfully restructure towards a more domestic driven and service-orientated economy, Chinese markets have been a well-publicised underperformer as of late. 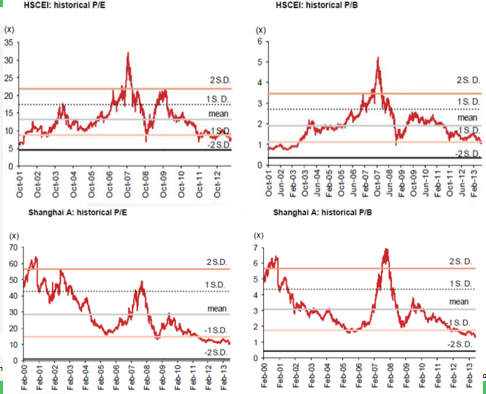 Global events originating from Europe and the US have also had a severe impact on markets resulting in a risk-on/risk-off behaviour and exarcerbating the downside volatility of Chinese stocks. For Value Partners, current market valuations are already pricing in these concerns and the country’s financial standing is in much better shape compared to many other BRIC countries. China has undergone a massive destocking process between 2011 and 1H2013 across many industries and sectors, following the excess inventory and supply generated by China’s stimulus program after the Global Financial Crisis. There is strong evidence that this destocking process has come to an end across many industries and we are now seeing orders picking up, capacity utilization is strengthening, and some industries are even restocking inventory, especially in the high end manufacturing, electronics, technology as well as in the healthcare sectors. In areas such as Alternative energy, growth has been extremely strong as well. On the flipside, some areas such as upstream commodities and the steel sector continue to experience oversupply. The shale gas revolution in the US has also had a severe impact on the coal industry in China which was already experiencing oversupply. These are sectors which Value Partners have been avoiding. Several positive policies were launched after the August meeting in Beidaihe: measures aimed at tackling the declining demographics trend, financial reform, etc. 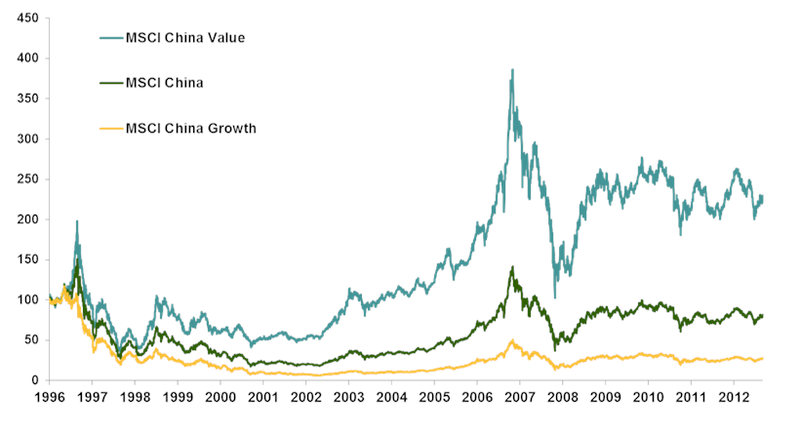 Value has proved successful when investing in China and is the strategy at the core of the Milltrust Value Partners Greater China Fund. Wealth management products (WMPs), at the heart of the Shadow Banking practice, have been perceived as risk-free by domestic investors given their short 2-year history and currently low default rates. WMPs have had an impact on the local equity markets as domestic investors have been switching to these higher yielding products at the expense of equities. In the long term, the duration mismatch between liabilities and cash flows may become an issue, regardless of the quality of the underlying projects they are financing. But the impact to the banking system is not as direct as it seems as the banks are simply distributors of these products and do not use their own balance sheets. Nevertheless, the regulator is trying to distance the banks from these WMPs which they are no longer permitted to distribute. Concurrently, a domestic bond market is being actively developed to open up more funding channels to SMEs in particular. The larger banks are in a stronger financial position than the smaller banks and have hundreds of thousands of networks across the country allowing stronger deposit-taking and better access to cheaper costs of funding. When there is a liquidity tightening within the system, large banks are generally net lenders within the interbank market whereas smaller banks become net borrowers. In addition the larger banks tend to offer much higher dividend yields which are several of the reasons they are preferred by Value Partners as some of the top positions within the portfolio. Property prices have been rising over 10% YTD in the Tier 1 cities such as Shanghai and Beijing. For Value Partners, this merely reflects worldwide property dynamics that location is key and supply is actually declining in the most desirable areas of China, driven by wage inflation and strong urbanization trends. There are a lot of genuine first time buyers in these Tier 1 cities. In the Tier 2 and Tier 3 cities, where there is abundance of land, supply has been outstripping demand and prices are declining as a result, depicting the fragmented nature of the Chinese Property market as a whole. Value Partners focus on Chinese Property Developers that have diversified land banks across various Tier 1 and Tier 2 cities with very high asset turnover. These companies tend to trade at a narrower discount to their net asset values, usually 20-30% rather than the 40-50% discounts seen with other developers having lower asset turnover. The Milltrust Value Partners Greater China Fund (UCITS IV) employs a long biased absolute return equity strategy across the Greater China markets from which it aims to capture capital gains from undervalued and exceptional businesses in the region. The fund provides transparent and liquid access to Value Partners’ time-tested stock-picking skills across Greater China equities, primarily focused in the large cap sectors across China, Hong Kong, and Taiwan. The team pursues a fundamental bottom-up research approach with a disciplined focus on value. The fund focuses exclusively on the team’s highest conviction research without adherence to the benchmark. The strategy also allows for some flexibility on hedging through cash and index futures.